A lot of things have gotten more expensive over the last 25 years, but until recently, penalties employers faced for workplace safety violations weren’t among them. While prices for everyday items like bread, milk and postage stamps have been rising to keep up with inflation, the maximum fine that the Occupational Safety and Health Administration (OSHA) could levy against an employer for a willful violation continued to be $70,000. A willful violation is defined as a violation in which the employer either knowingly failed to comply with a legal requirement of acted with plain indifference to employee safety. This is no longer the case thanks to a provision in the recently signed congressional budget. The financial plan that President Barack Obama signed into law in early November includes an order that OSHA raise federal penalties for workplace safety violations and keep them in line with inflation going forward. The agency had been exempt from this requirement and had not adjusted its penalties since 1990. Under the new mandate, OSHA fines could increase by as much as 80 percent. That willful violation penalty that remained the same for a quarter century could now rise as high as $125,000. This may sound like a lot of money, but it’s not when compared to what some other federal agencies can levy for offenses that don’t involve an injury or death. The Federal Communications Commission, for example, can fine a TV or radio station up to $325,000 for indecent content. And for charges that included wire fraud, money laundering and falsely representing to the Environmental Protection Agency that his company was producing bio-diesel fuel, a businessman in Texas was sentenced to 188 months in federal prison, fined $175,000 and ordered to pay more than $54.9 million in restitution. There Is No Reason for Working to Be This Dangerous. In 2013, 4,585 workers were killed on the job in the United States. Another 50,000 died from occupational diseases. This translates to 150 workers dying each day from hazardous conditions in the workplace that should have been protected. OSHA’s new fines will go into effect in 2016, at a date to be determined. Worker safety advocates see them as progress, but their implementation is not a cure-all. 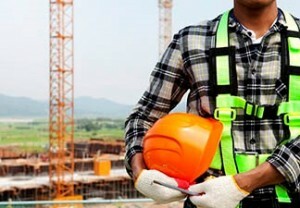 Higher penalties may increase the likelihood of fines being contested by employers who previously regarded them as simply the cost of doing business ensuring that workplace citations stand up during an appeal will require OSHA’s already understaffed inspection divisions to devote more time to documentation. There are just 1,882 inspectors to check eight million workplaces. On average, this means there are enough inspectors for federal OSHA to inspect workplaces once every 140 years and for state OSHA programs to inspect workplaces once every 91 years. Regardless of a penalty’s cost, until OSHA has a bigger budget and more inspectors onboard, many workplace violations will continue without being documented. Unfortunately, when there is little financial incentive for unscrupulous employers to correct these hazards, the safety and health of many employees will continue to be at risk.